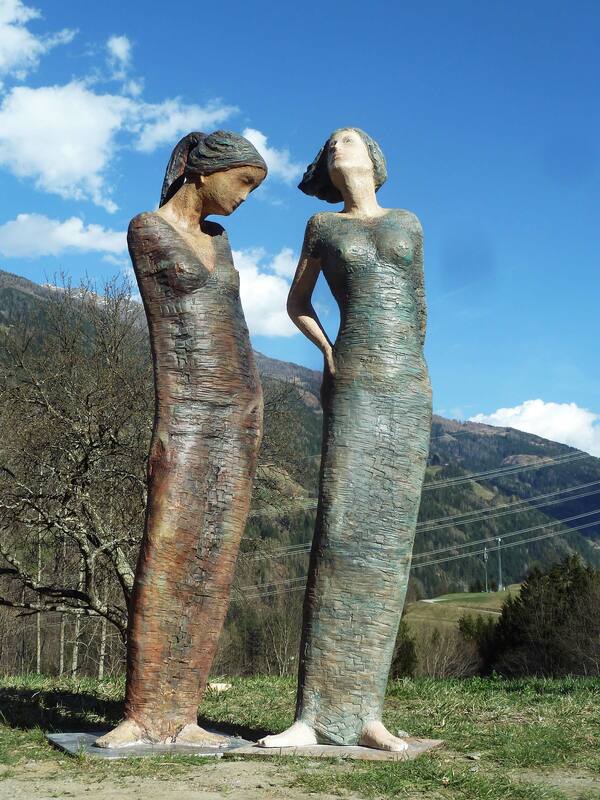 2 women is a sculpture from terracotta or bronze casting that I have completed in 2017. 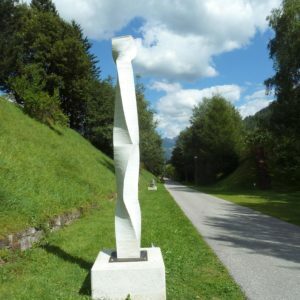 The dimensions are 1.8 m.
Not only “Stelen” – Sebastian Rainer’s most recent artwork created from old newspapers and magazines – finds attention in the art scene beyond the borders of Austria. 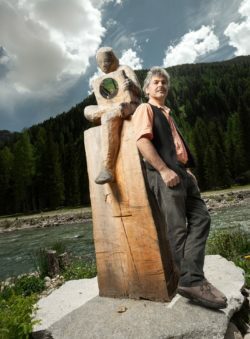 Already as a child, Rainer had carved nativity figures from wood, and later he studied the arts of building a musical instrument. He passed his journeyman’s examinations in the fields of string and brass instruments in the early 1980s. After seven years, he was increasingly attracted to sculpturing and in 1987 Rainer was able to take the sculptor’s examination in Vienna. With his works Sebastian Rainer wants to show social developments and to arouse emotions. 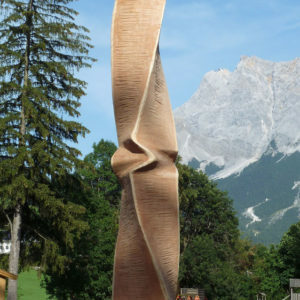 In recent years he devoted his sculptures to the theme of the migration to Europe, especially with the model “Lampedusa – Das Boot ist voll?” (“The boat is full?”), as well as the increasing mass tourism in mountaineering on mountains such as the Mount Everest or Matterhorn. 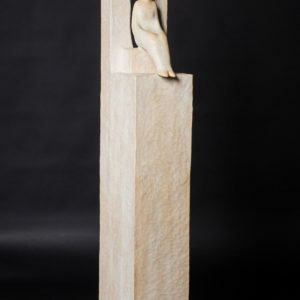 He seeks his inspiration in those worlds and appeals with his sculptures directly to the human emotions.